More than a successful collection, freelancer is a true reference to the Swiss Brand with its independent family company status. It is also a range created in honor of free spirits, of personalities wanting to remain in control of their own destiny. From the very outset, the collection has not stopped evolving with its time over the years, free from all constraints, but never losing sight of its own soul: an urbane personality, an air both elegant and relaxed, with beveled horns and emblematic screws. 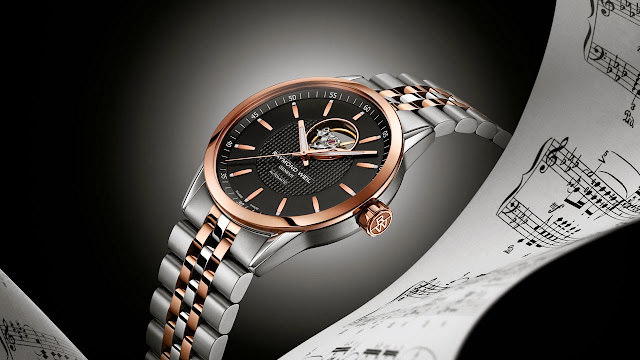 The 42mm steel case of the freelancer Visible Balance Wheel is perfectly formed with a rose-colored bezel and crown. 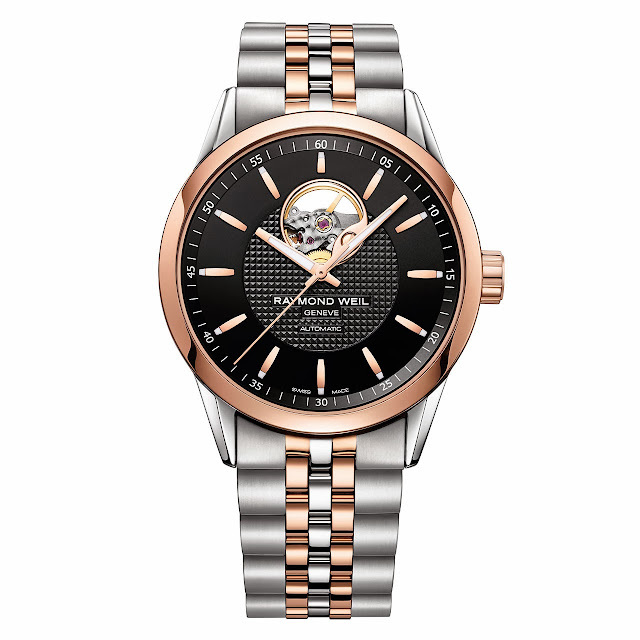 The black dial is also enhanced with rose gold indexes and hands and reveals a part of its mechanical movement with automatic winding at 12 o’clock. A subtle Clou de Paris guilloche decorates the center zone. The polished and satiné finished steel and rose gold bracelet, fitted with a folding clasp stamped with RW, extends the case’s urbane contours. As a last detail, the hour and minute hands display a luminescent surface. Full of style and personality, the freelancer Visible Balance Wheel dares to make the difference with its steel and rose gold version.